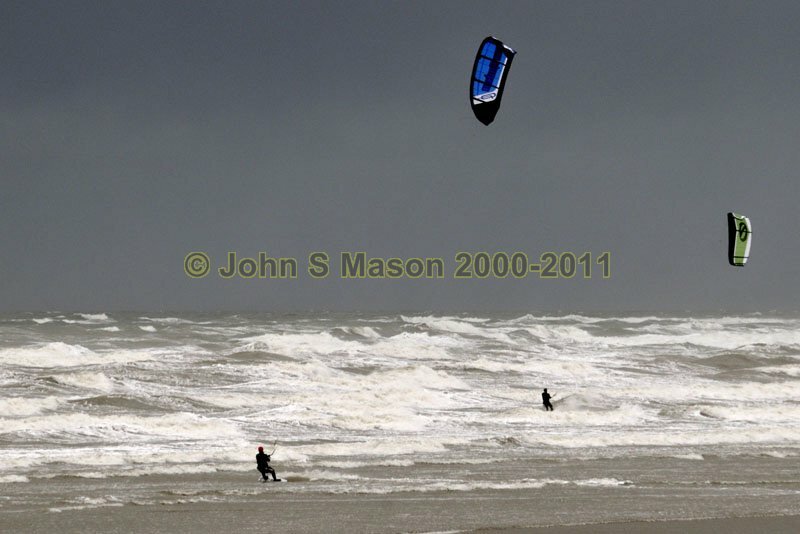 Kitesurfers tackle a seriously rough sea and frequent heavy squalls at Borth on a March day in 2009. Product number 030923. Email me to enquire about this image: click HERE.